Love is in the air is February’s Glossybox theme and it is a lovely white and pink box with heart-shaped balloons. I was, once again, ecstatic about the packaging. Glossybox never fails with their packaging but this month was extra pretty & extra exciting! The number one reason I love Glossybox is that they have introduced me to new brands every month so far and that’s exactly what I was hoping for. Even if it turns out to be something I hate, I love to try new brands, especially from emerging companies. Again, I can’t say enough about how freakin cute Glossy’s packaging is!! I fall in love again every month with the sturdy and perfectly packaged box. The detail is amazing down to the cute little ribbon and the insert with product info & tips. Personal touch means everything to me. My husband is a professionally organized hoarder and even he loves these boxes for storage. I removed the fun white confetti so that you could get a better look at the products inside. Let me just stop about the packaging because I’m sure you got the point by now. Tidbit: Inspired by Korean skincare products, this sheet mask includes all of the healing benefits without the paragons or sulfates. UUHM…..YES PLEASE!! 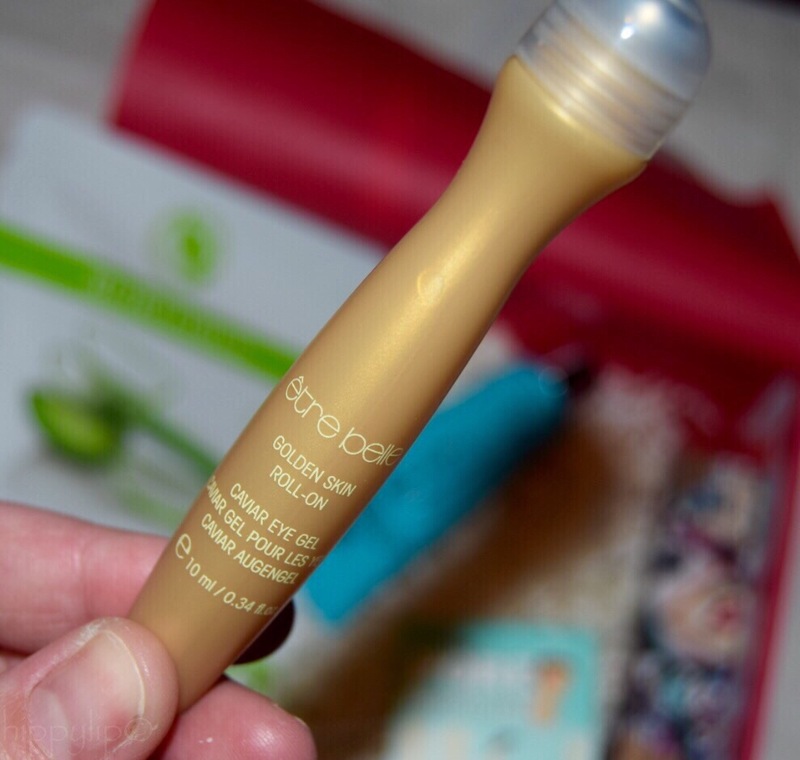 Tidbit: Always allow eye cream to absorb for at least 1 minute before applying makeup.That way, your foundation concealer doesn’t crease from the excess product. Tidbit: Primer can be used at anytime of the day. If your pores come out of hiding, or you notice problem areas that need extra attention, pat a dab of this oil-free, translucent formula on your face and voila! Tidbit: Women in ancient Mesopotamia were among the first group recorded in any civilization to wear lipstick. Created from natural resources, the women would grind precious gemstones and use the dust to adorn their lips with glitter. (I WOULD DEF DO THIS TODAY IF POSSIBLE). Tidbit: Boosting circulation and reducing inflammation, clay has been utilized in skincare for centuries. Most active when wet, make sure to mix with an ample amount of water. Total approximate value of this box $61.00. Impressively 4 times the box price! On first inspection I was super excited and happy because this box contained items that matched my profile to a tee! 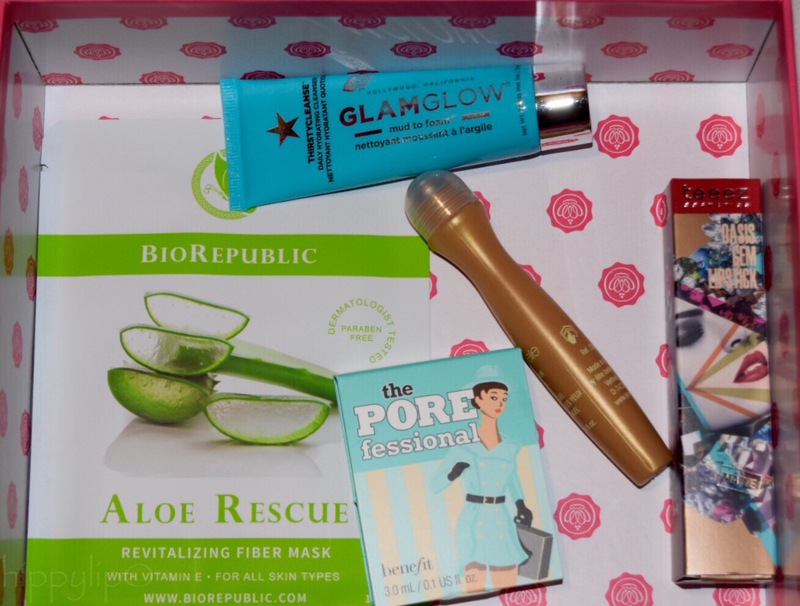 I already felt much better about Glossybox compared to the last 2 months….they killed it! 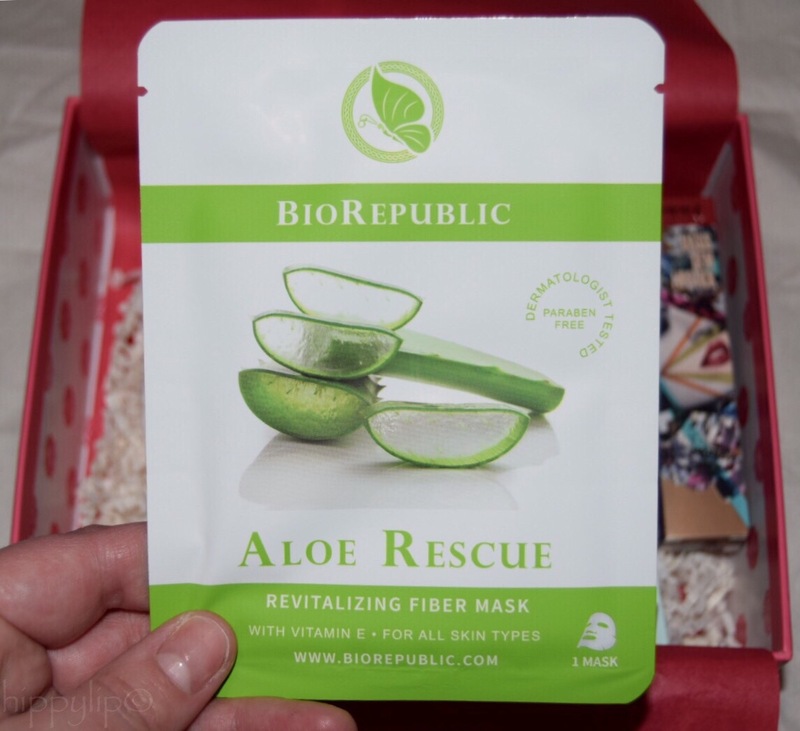 I love BioRepublic and having the Aloe rescue was like Glossy read my mind. I have a strange inflamed rash on my face and I have no doubt this will help. Etre Belle Roll-On Caviar Eye Gel looks so innovative with a metal rollerball applicator. The metal tip keeps it super cool and where have you been all my life (review to come). Benefits Professional is already a staple in my routine and the promotion on this is so insane that I haven’t had to buy the full-size yet! 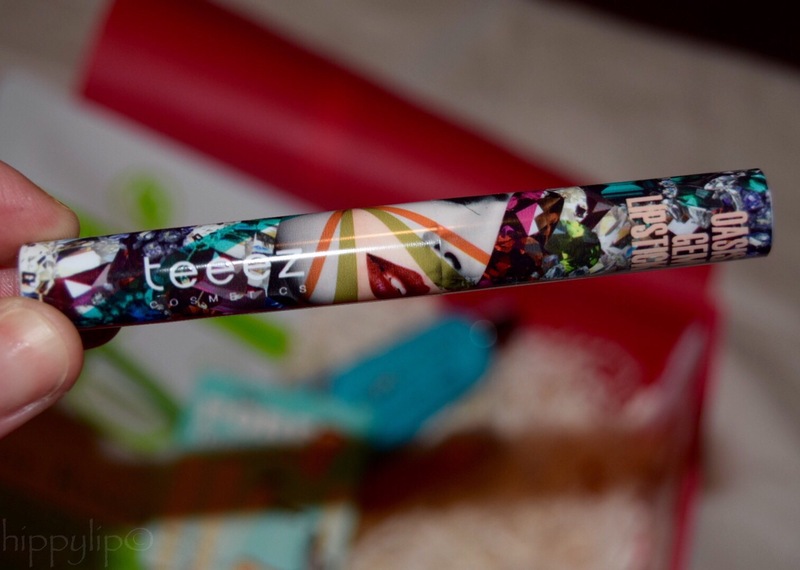 The packaging on Teeez Cosmetic Lipstick just blew me away…..loved it! Heat Wave Ruby is a deep berry and deserves it’s on review as well. 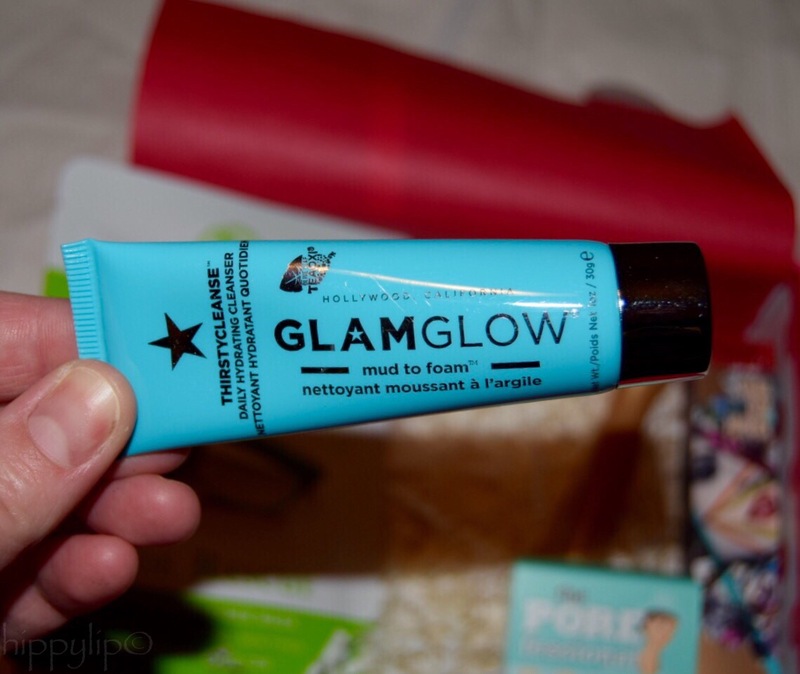 Last but not least is Glamglow’s ThirstyCleanse and since I own ThirstyMud and its my favorite, I really had no doubts until I tried it! I had a skin reaction to this which is weird because I never had a reaction to anything and I put a lot of products on my face. I haven’t written it off because it could’ve been anything that day. I will definitely try this again. All in all I am extremely happy with Glossybox this month and they have redeemed themselves for the 2 previous boxes. 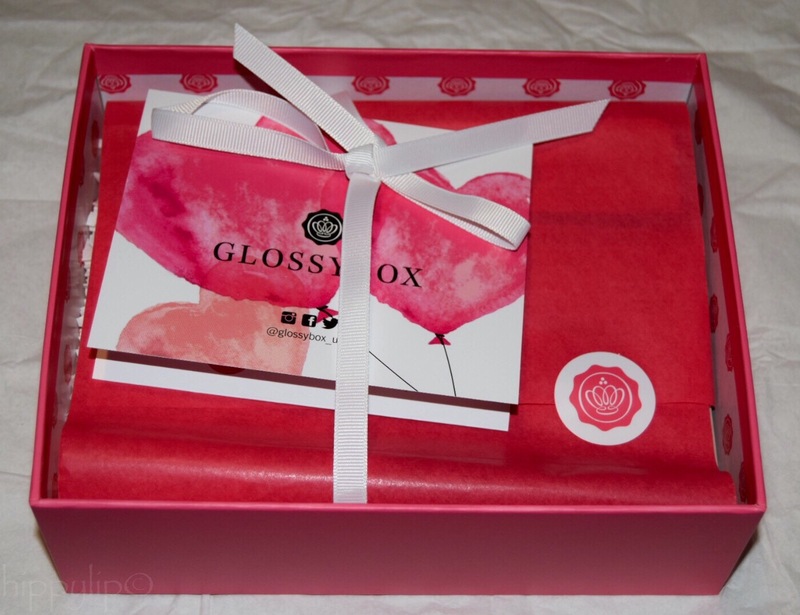 If you are thinking about a monthly subscription you really should consider Glossybox, especially if you are into trying new brands and high-end brands. You can subscribe monthly, 6 months, or yearly right here. Disclosure: This post contains an affiliate link, meaning I receive points if you sign up with my referral link. Anyone else receive Glossybox this month? I would love to hear your opinions so GIVE ME SOME LIP! Never heard of this box, but it looks super cute! Thanks for checking out my post! This is my favorite subscription so far. It’s been worth every penny!! I love that there are so many subscription boxes nowadays! 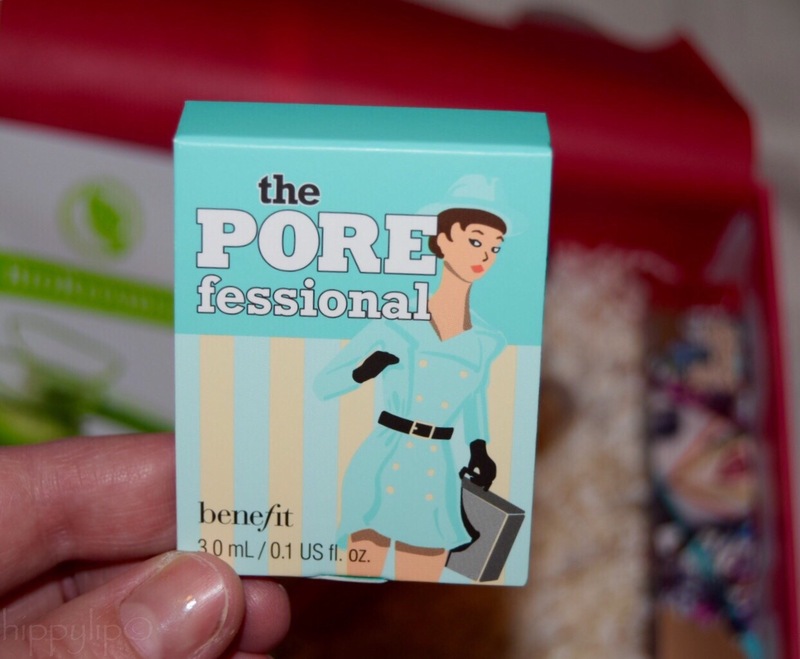 I don’t even have pore issues and I love be the Porefessional, I agree it make your foundation flawless. Thanks for reading Elyse!! Lucky you lol and no problem! I wish I could afford this box each month! It looks right up my alley! I actually used a coupon at christmas time and paid $180 which brought it down to $15/mo which is a little better. I would not have gotten it if I had to pay full-price!! Thanks for reading! That’s interesting! How much did it cost then? I hope considerably less than what it costs now! I haven’t received a perfume sample yet but I also filled out my profile that way. Haha I will def research this and try to find some legit pics but I highly doubt any exist. This was printed on the GLOSSYBOX insert!!! Teehee I jest! 😛 I’m trying to imagine what it would look like… lips encrusted with crusted gemstone dust.